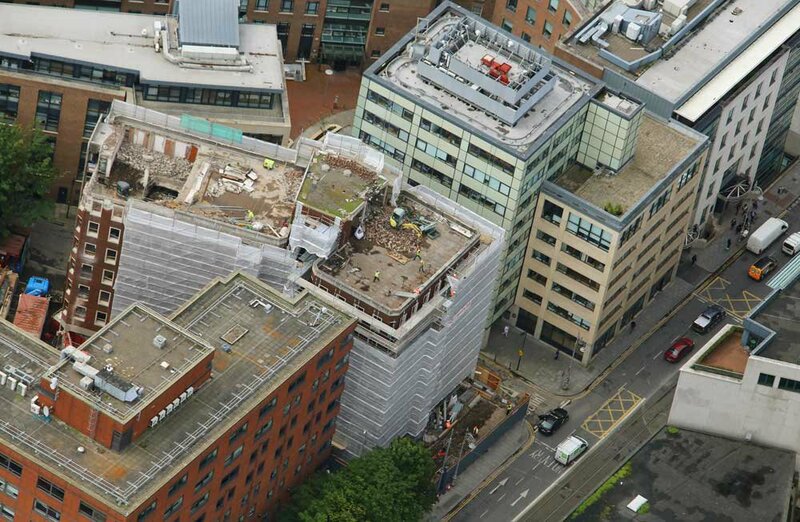 Demolition of the existing eight-storey office building and the construction of a six-storey office building over one level of basement, totaling 4,480sq.m gross floor area. Six floor office building over single level of basement with parking and ancillary facilities and additional plant space on mezzanine level between the ground and first floor. The offices from ground to sixth floor will be high end, due in part to their large open office design with clear spans between columns up to 11.5m. The large column spacing is achieved using post-tensioned floor slabs, which allow for a flat slab depth of 290mm to be maintained over the vast majority of the floor plate. This yielded large cost savings over traditional reinforced concrete or steel design. sixth floor. A light glazed feature staircase serves the front of the building. The elegant design of the features stairs is achieved by hanging the glazing from roof level so that most of the primary structure is hidden from view. The project highlights a commitment to sustainability with the building set to achieve at least a LEED Gold Rating when complete. Credits not only come from the materials used, surface water attenuation or the great site location but also from recycling debris from the demolition of the existing building on site and the installation of a green roof. 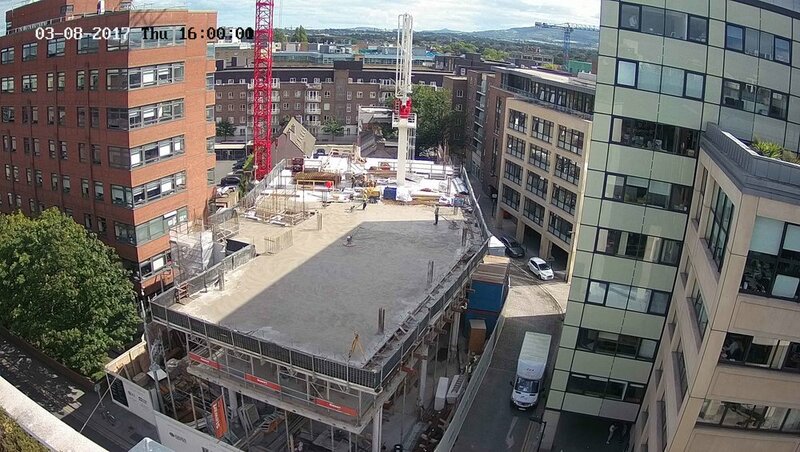 The development is taking place on a tight challenging site close to the LUAS Green Line. As a piece of major infrastructure extensive monitoring of the effects of vibration and settlement on the LUAS tracks before works began, through demolition of the existing building and during construction is required. 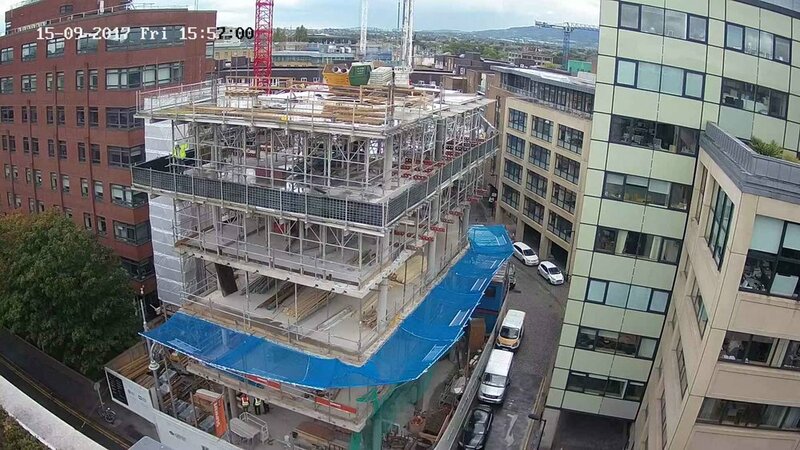 Existing LUAS support cables attached to the existing building on site were moved to a temporary pole and will be reattached to the new building when finished. 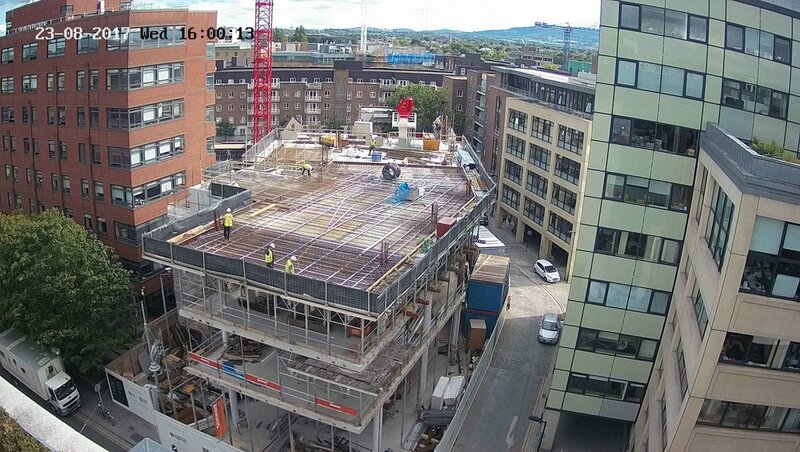 Currently the building's structure is nearing completion with the last major pour of the roof slab occurring in mid November 2017 with glazing work ongoing onsite. CS Consulting are acting as Civil & Structural Engineers & Ancillary Certifier.